Google fields over 4 billion searches every day. If you want to be the business Google matches those 4 billion+ searchers to when they type in keywords within your niche, you’ll want to start taking SEO seriously. SEO stands for search engine optimization. For the uninitiated, search engine optimization is the science of matching your website’s copy with search queries typed into search engines to boost your brand. As an example, if you brand your veterinary clinic online as the “Top Vet in Nebraska” but thousands of people are searching for your services with the phrase “best veterinarian in NE”, changing your branding to match that phrase will give you a better chance of engaging those thousands of leads. SEO services for small businesses can provide a bevy of benefits to business owners who take the time to use them. Below are a few of our favorite advantages. Over 70% of small businesses in the United States have websites. If you’re among that number (which in today’s age you need to be) your website has the potential to attract new customers to your products and services. The success of your website is tied directly to the number of users you can get to land on it. To that end, SEO has you covered. The additional search engine exposure SEO services for small businesses will bring to your website will inevitably net you more traffic. With that increased traffic comes a higher possibility of getting people to opt into your sales funnel by contacting you, subscribing to your mailing list, or by purchasing your products straight away. Branding is an integral part of a small business’ success plan. The more people you can showcase your company’s name, logo, etc. to, the more opportunities you have of engaging those people and have of them spreading the word about your business. With SEO, even if people don’t click on your search result on a search engine result page, your brand will still be prominently displayed among top options. That means, as a worst-case-scenario, people will be exposed to your brand’s name and get to read an excerpt about what you do. That passive exposure if valuable in itself. 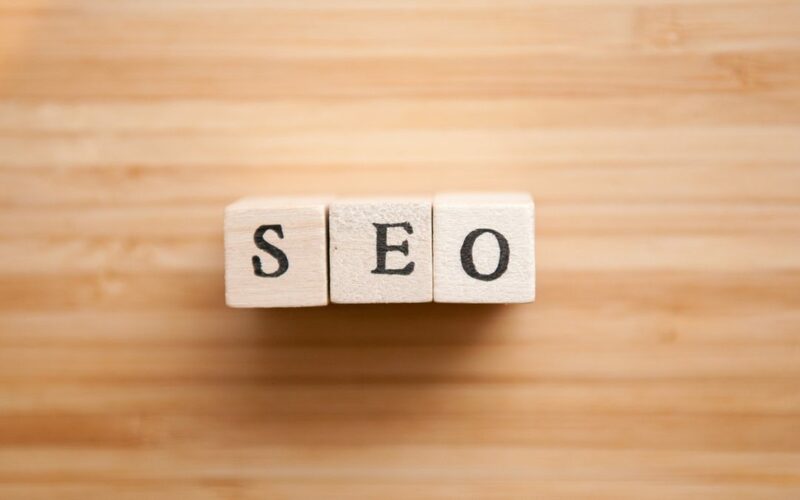 When you invest in SEO services for small businesses, you’ll gradually start to climb up in search results for certain keywords and phrases. Once you’ve climbed that ladder and have a favorable position on Google, Bing and other popular search sites, you may retain your positioning for a long time. Some brands find that it takes years for them to get knocked off their pedestal for certain keywords and phrases they’re a top result for. That means, when you pay a digital marketing agency to implement an SEO plan, your expenses could end up bringing you customers for years to come at no additional charge. Compare that to other means of marketing like Pay Per Click where you need to pay for every person that clicks on your page and you can see why SEO represents such a great value. SEO research allows you to understand what people are searching for. Those keywords/phrases you’ll discover will then tip you off to the specific reasons why customers search for products and services like yours. Imagine knowing that one of your products is searched for on Google 200% more than another. How would that inform the way you run your company? The insight SEO provides to small businesses allows them to optimize their workflows from end to end. That optimization means you investing your resources where they matter most and trimming the fat. When people think about SEO services for small businesses, they think of a digital agency like the one at this website helping them improve their web copy to rise up in search engine result pages. Optimizing your online copy, however, is not the only advantage SEO nets you on the marketing front though. Once you have insight into the keywords/phrases your customers care about, you’ll know what matters to them. Armed with that information you can work those phrases into other materials. This can include brochures, billboards, mailers, speeches and more. Bottom line – The weight that good SEO carries with it is not limited to the internet. It can assist you in every aspect of your branding and marketing efforts. Let’s face it, the business world is fierce. Especially in certain impacted niches. If you want to get out of the shadow of your larger competitors in a cost-effective way, dominating your digital presence is a great way to do that. And nothing improves your digital presence quite like SEO. With SEO, you can implement guerilla tactics to understand consumers better than your competition. You can even figure out how your competition has managed to attract customers and replicate their strategies. SEO is truly a marketing equalizer given its power and low cost. Investing in SEO services for small businesses allows you to harness that power and get ahead. SEO Services for small businesses provide big-time value to companies. It allows them to rank higher in search engines and improve the leads they’re attracting. Beyond that, it gives them in-depth, actionable information on their customers that can help inform decisions beyond their marketing efforts. If you’re looking to break away from your competition and take your business to the next level, there’s no better way to accomplish that more swiftly and cost-effectively than by investing in SEO! Are you ready to take your digital marketing efforts to the next level by harnessing the power of SEO? If so, look no further than Full Scale SEO to get you started. Our team offers a bevy of digital marketing solutions to get you ahead in today’s online world. Find out what we can do for you by contacting us today!